There is no greater tribute paid to those who have given their lives to serve the public than to be honored by the Sheriff’s Honor Guard. 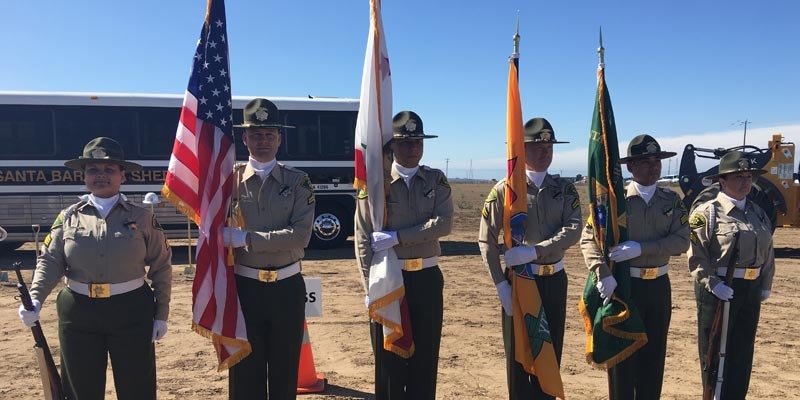 The Honor Guard attend various functions and ceremonies to demonstrate the Sheriff’s Office show of support for and to recognize the sacrifices made by law enforcement officers who have served and protected society. 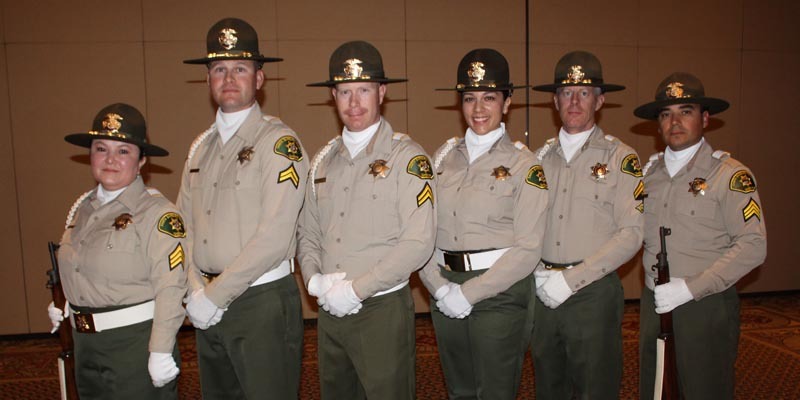 Honor Guard members are sworn peace officers who have been specially chosen from all divisions of the Sheriff’s Office. 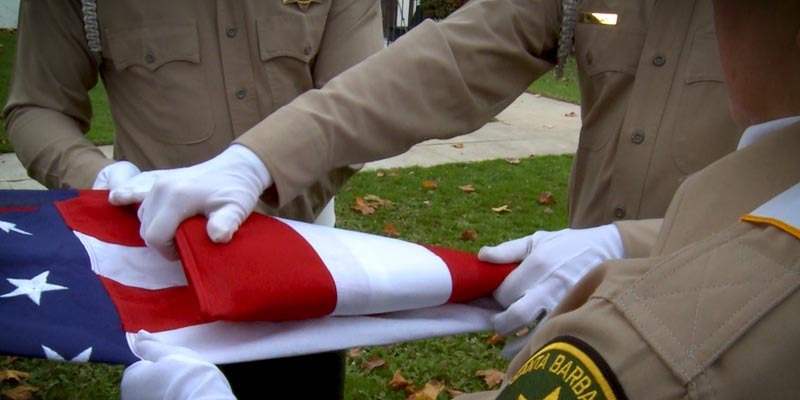 Duties include providing funeral honors for officers who have been killed in the line of duty, as well as for those peace officers who have honorably retired from the department. 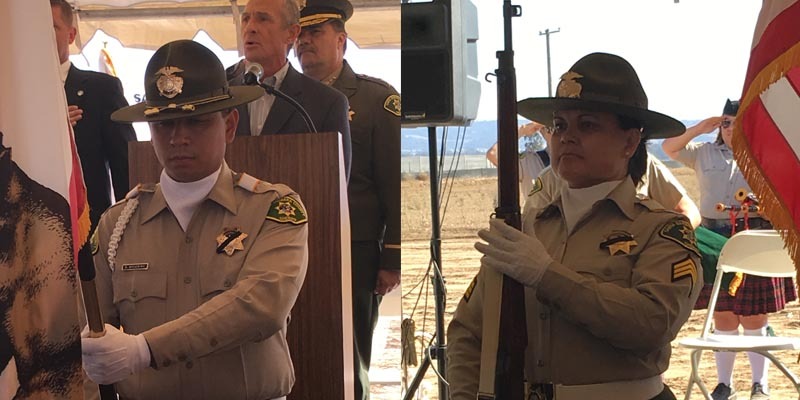 The Honor Guard post the national, state and department colors at many community events, including departmental and regional law enforcement award ceremonies. The Sheriff’s Office currently has 13 deputies assigned to the Honor Guard. These deputies train on a regular basis and are ready to conduct their duties at any time. 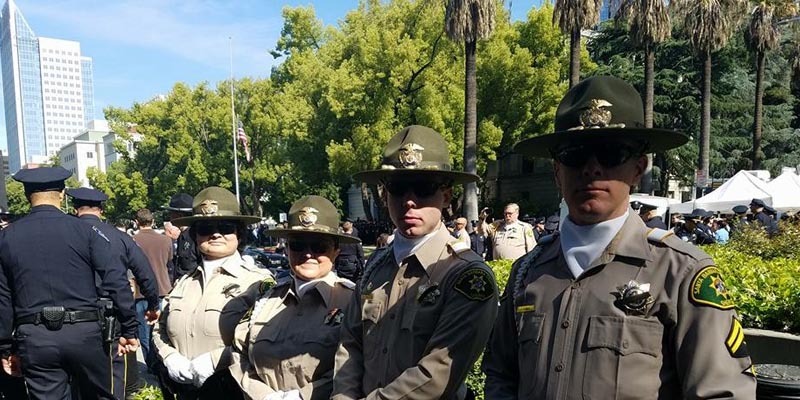 It is a tradition for the Honor Guard to post colors at the Department Awards, H. Thomas Guerry awards, the Santa Maria Police Department’s Officers Memorial and the California State Officer’s Memorial in Sacramento.